While there are many roulette systems out there to help you win at roulette, perhaps none are as well known as the Labouchere Roulette method. Invented more than 100 years ago, it is trusted by many seasoned roulette players who swear by how effective it is. 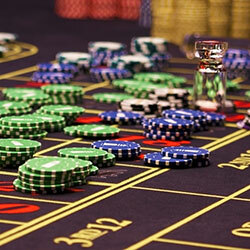 You may hear the Labouchere Roulette method called by other names, including the Montante Américaine method, the Cancellation method, the Split Martingale method and the American Progression method. No matter what name it goes by, the Labouchere Roulette method is a means of playing roulette that allows you to recoup the amount that was lost from two preceding spins every time that you win. The system works off what is known as negative progression, which can be difficult to grasp at first. Once you put it into play and practice a few times at an online casino, you’ll begin to understand how it works, as the concept becomes very clear once you see the Labouchere Roulette method being used at a virtual roulette table. 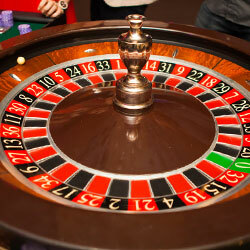 The Labouchere Roulette method is intended to be used whenever you are making even money bets at a roulette table. This means it can be used to bet on the red, the black, the high the low, the odd or the even numbers. It’s important to remember that the Labouchere Roulette is only for these types of bets, as it is only an effective method for winning roulette on even bets. To improve your chances of winning, use the Labouchere Roulette method on an European roulette wheel rather than an American roulette wheel because there is an extra zero on the American wheel that increases your odds of losing. It is recommended that you start playing with a monetary winning goal in mind and that you use a pen and paper to track your play. Each one equals one chip and corresponds to your number of wins. If you were playing the above example, you would start by playing one chip and end up leaving with five chips for a total win of four chips. To calculate your first bet, you would add the first and last number, which would mean you would need to bet 1 + 1 or 2 chips on your first spin. You would then calculate your bet by adding the first and last numbers, meaning you would now wager 1 + 2 or 3 chips on your second spin. and you would now wager 1 + 3 or 4 chips. You would then add together the first and last numbers for your next bet, so you would be wagering 1 + 2 or 3 chips total. Your wager would become 1 + 3 or 4 chips. Your wager would then be 1 + 4 or 5 chips. This time, you get lucky and win! You have now won 5 chips, which was your original goal. You have successfully used the Labouchere Roulette method to win at roulette and can walk away from the table victorious. If you wish to keep playing, you can simply start over with a new string of numbers and a new goal and continue through the progression. While in this example, we only used the number 1, you are not limited to just 1 chip. You can make the numbers anything that you wish. Just remember that each number will correspond to set a number of chips, and you will always add the first and last numbers together to decide how much to wager on every spin. We recommend that you try the roulette system using all 1s to start out and then build up to more complicated numbers as you master the Labouchere method. Try giving the roulette method a test at the European roulette tables of an online casino, so you’ll be able to easily track your bets and learn the method.